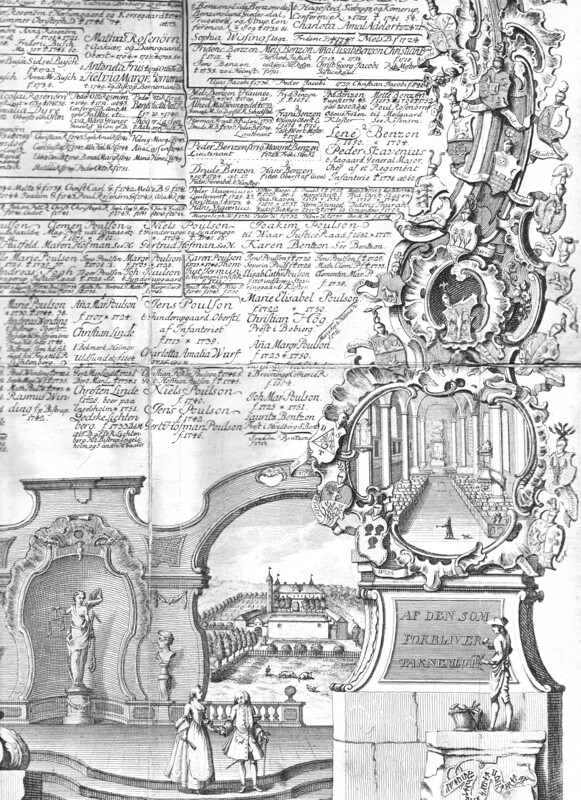 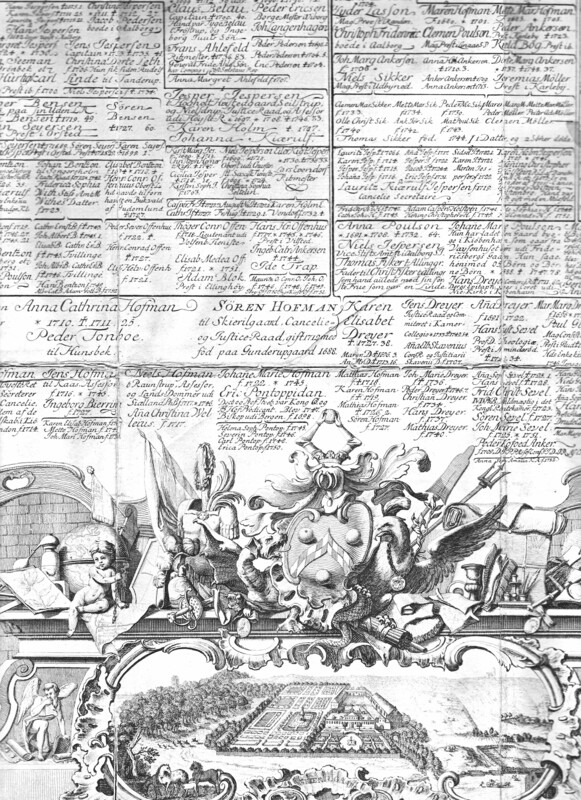 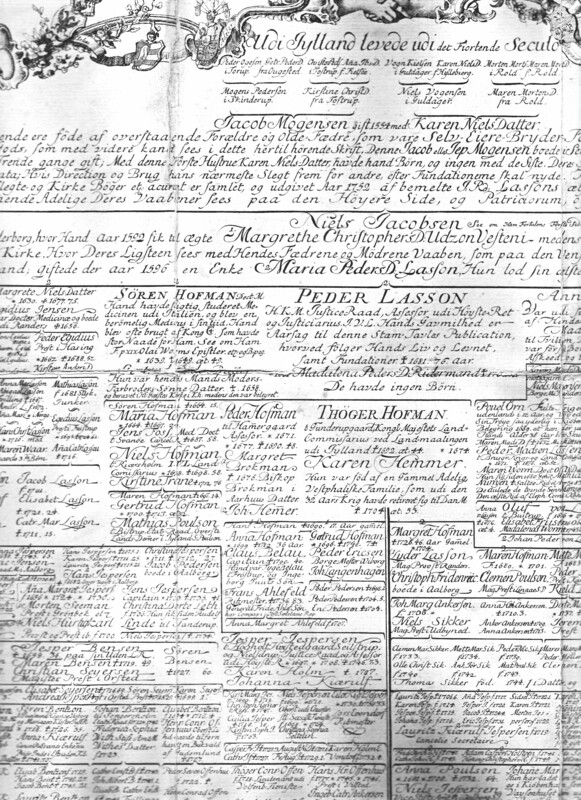 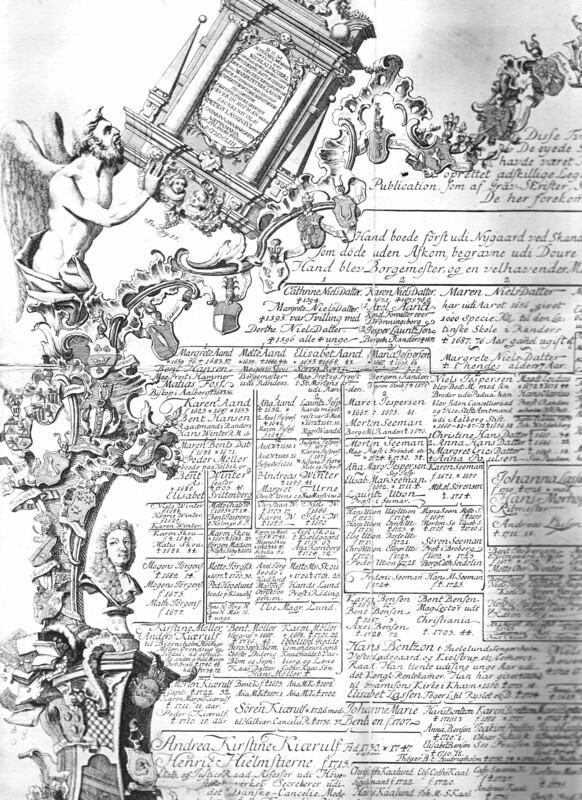 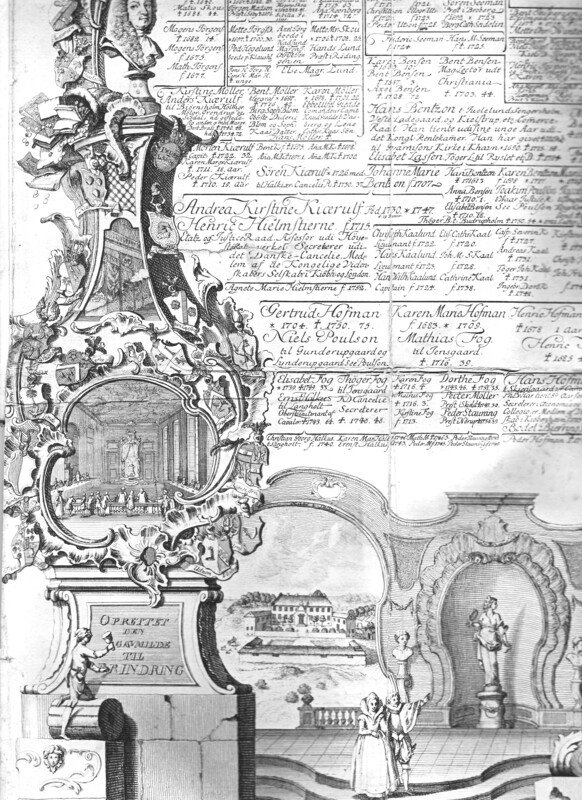 The above images are scanned from the Niels Jacobsen family tree which is attached to the book "Fundationer af Peder Lasson", written by Tycho de Hofman and issued in 1753. 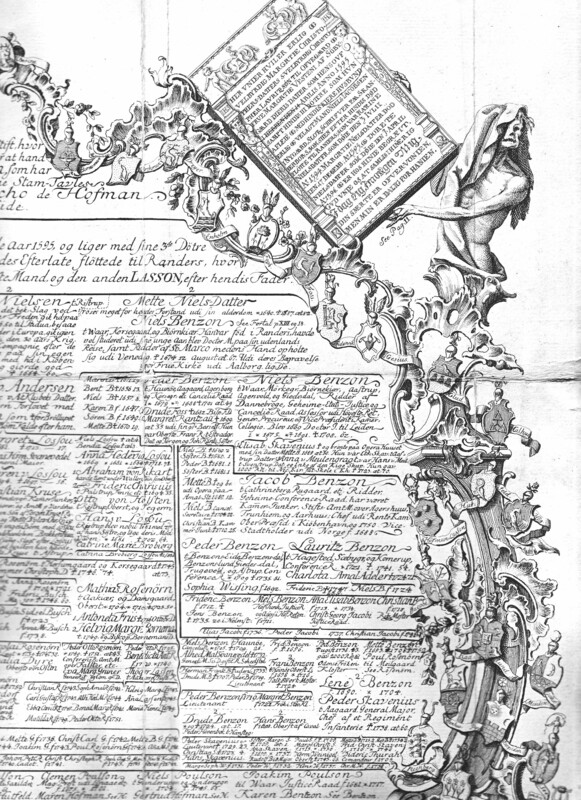 Thanks to Niels Hofman-Bang for giving me access to the book. 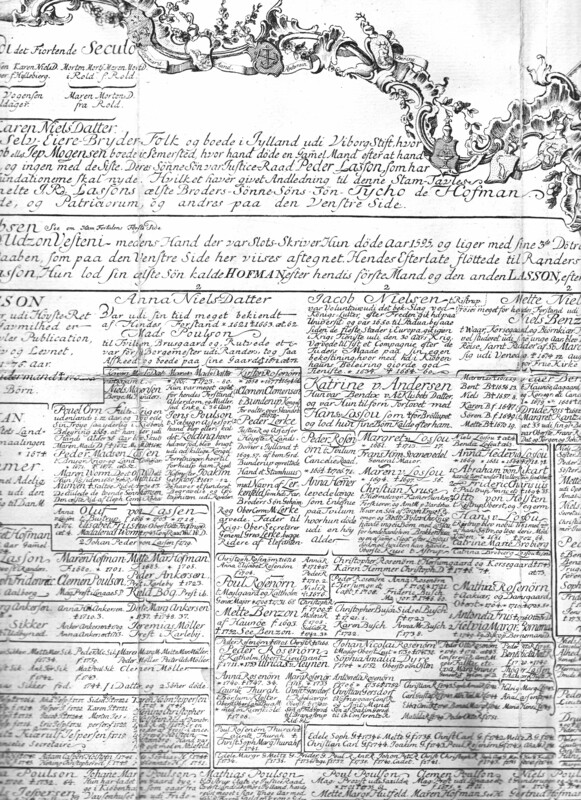 The goal is to have every single name on this tree documented and linked on this website. 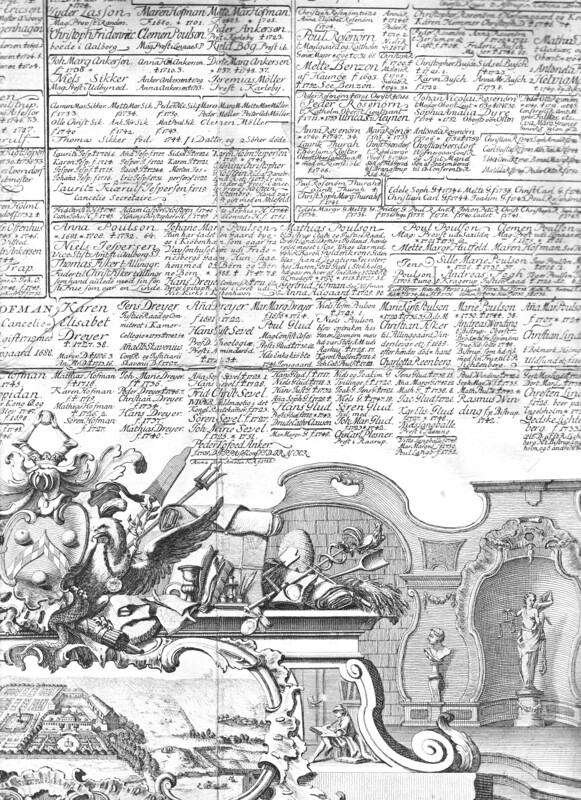 Click on the images to make them larger for detailed viewing.